wedding planning | Finding delight. BuzzFeed’s top traffic came from a teen making quizzes for free. 6 storage solutions for small spaces. Endangered animals sing “I Dreamed a Dream” in this powerful animation. Who do you really want at your wedding? How the Silicon Valley set fell in love with sourdough. Tina Sharkey on unbranding your pantry. A fun indoor activity for the doldrums of winter. 5 lessons about how and why people push buttons. Think science proves men take more risks than women? Think again. How restaurants got so loud! An East Berlin meets West Berlin love story (currently FREE on Kindle Unlimited!). P.S. A few Finding Delight posts you may have missed — Restaurants are not Food Culture and Girl Crush: Amy Poehler. 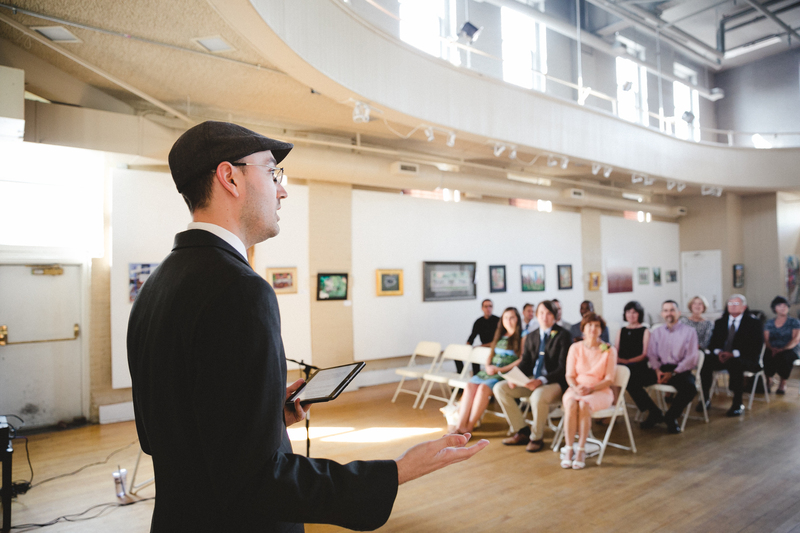 Planning a wedding can be incredibly overwhelming. For one thing, there’s a TON of wedding advice online detailing all the things a bride “must” do. And then there’s a whole host of other folks IRL who will happily weigh in with their opinions. How many traditions can there be for ONE day? Do we have to complete every DIY from that “Happily ever after…” Pinterest board? Why does everyone want to make this about THEM!? AAAAH! Use traditions as a gentle guide not a do-or-die road map. You can have that walk-down-the-aisle moment of your childhood fantasies without needing to be escorted by a parent. You can cut your cake or not. Your first dance can be in the midst of your ceremony. Talk to your partner about what traditions are important to you, which you’d rather skip, and if there’s room for adaptation. You get to create your own version of the day. Choose three financial priorities. If you’re planning a wedding on a budget, figure out your priorities before diving in with checkbook in tow. Once you’ve picked your big three, you’ll have a clearer picture of what elements you feel ok splurging on and which you can DIY. For example, music didn’t rank in our top three priorities so we went for an mp3 player plugged into a rented speaker to jam our reception playlist. However, if it ranks in yours, you may want to hire a professional DJ or a local string quartet. I wanted a bouquet made by a local florist but if this detail is something you’d rather save on then, by all means, hit up that Pinterest board girlfriend. Find ways to involve family and friends that go beyond a wedding party. 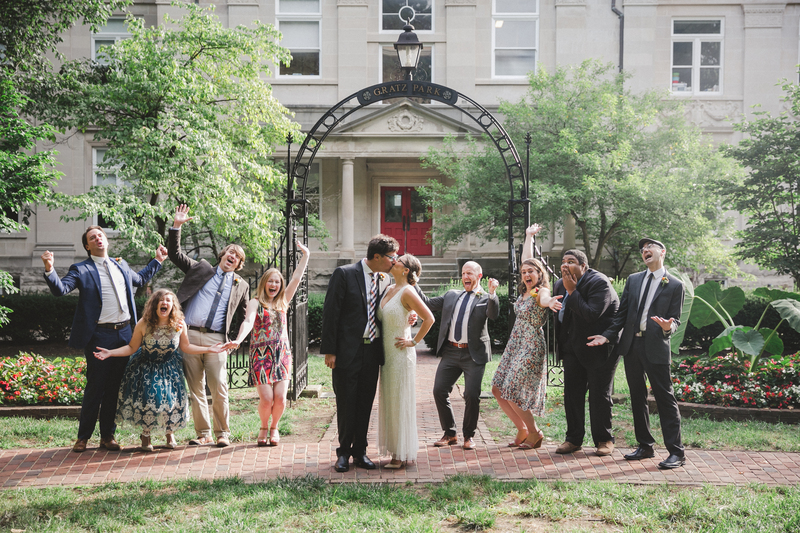 Sure you may want to have your nearest and dearest standing beside you as you proclaim your love, but I’m guessing these folks have a fair few talents besides looking pretty in pictures. The pieces of your big day will hold so much more sentimentality if they were constructed by the people who love you. Ask them to do a reading or MC or braid your hair or help you pick out table runners. If folks in your life are chiming in with a whole bunch of opinions, they’re likely coming from a good place–they might just be unsure of how to help. Give them a role to fill! At the end of the day, wedding’s will never go completely as planned. There will be some detail that completely slips your mind…a last minute change or addition you didn’t plan for. But by choosing meaningful traditions, spending on the details most important to you (and saving on all the rest), and getting your nearest and dearest involved–your big day is sure to be a beautiful success! To curtail the number of questions you’ll no doubt get asked by guests, consider setting up a wedding website. This is the first element, besides your invitations (if you have ’em! ), where you can really highlight your personality as a couple. There are tons of platforms that allow you to create a completely free website. Here’s a look at ours. We included information about our venue, times, and listed a few housing options for the weekend. But we also included some information about ourselves and our relationship. One friend of my family remarked that watching our ceremony felt that much more personal because she had gotten to know Chet and our story a bit better before the big day. If you’re not married (hee!) to having the ceremony in a religious setting, get creative. Consider lots of options, not just the ones that have hosted weddings on their property before. It never hurts to ask! 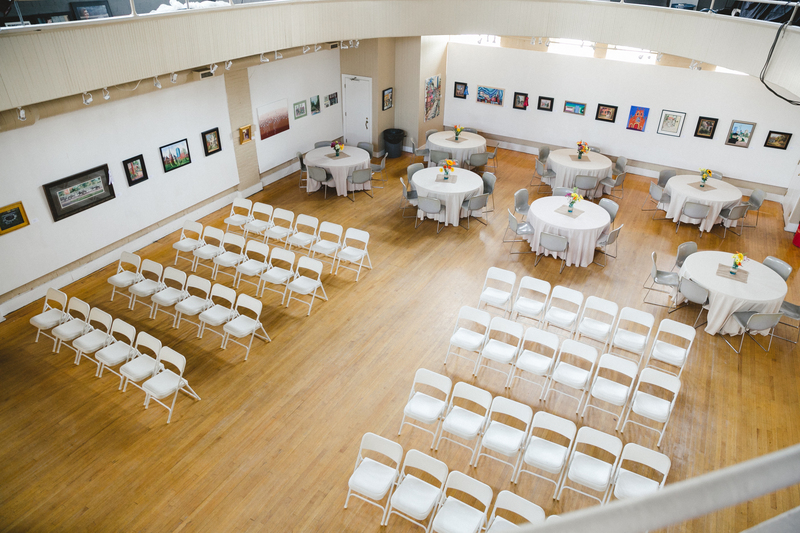 Consider getting hitched in your backyard, at a museum, a library, or your favorite park where you got engaged. Plenty of spaces hold special meaning besides churches. They say you’re the average of the people you spend the most time with and it’s kinda fun to make your guest list a reflection of that. A healthy mix of family, friends, and mentors who have seen you grow up, fall in love, and shape you into the couple standing before them. 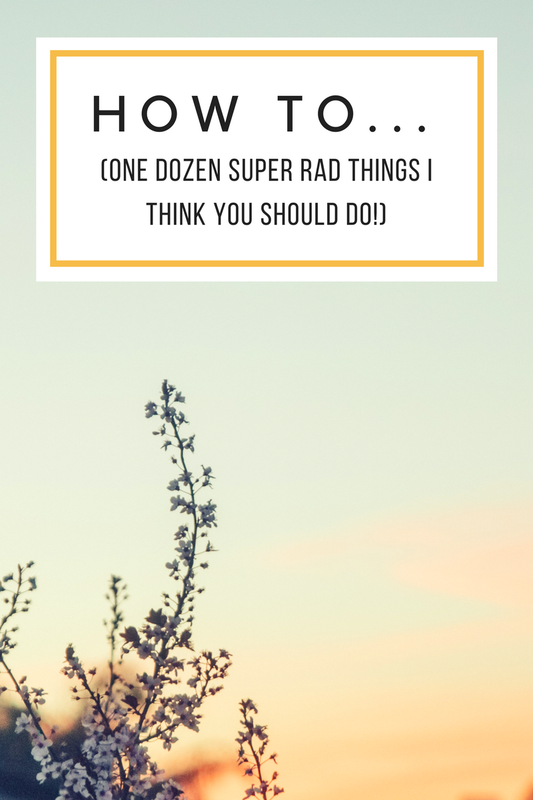 Sure there are some folks you’ll have to invite but don’t let them overwhelm the list. Gather your favorites as a reflection of YOU. I was beyond grateful to have someone in our corner who passed along this nugget of knowledge to us. And doubly grateful that this person was not just a dear friend but also our wedding photographer! She whisked us away for a couples shoot before the ceremony that felt more like an adventure than a check mark on the day’s to-do list. Keep the traditions you like and buck the ones you don’t. Nothing personalizes your wedding like setting your OWN traditions. And hey, they might stick! We totally loved that my brother and sister-in-law walked down the aisle together and decided to do it too. 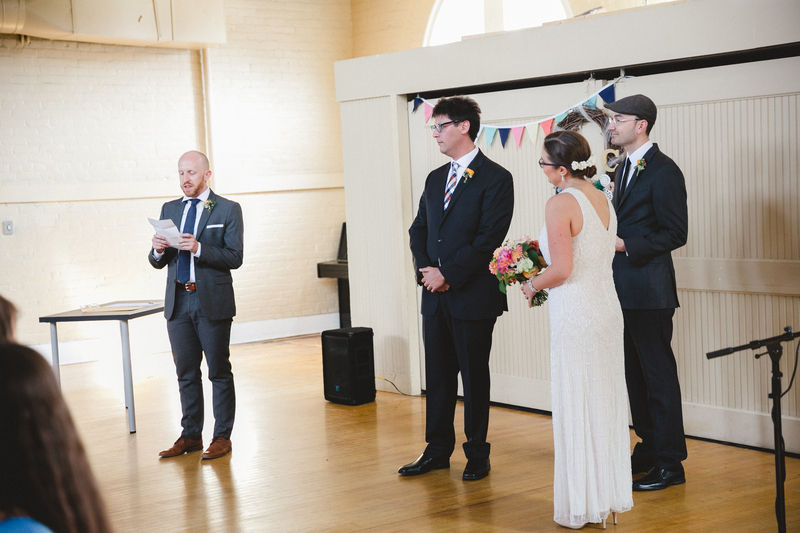 What could be more special and memorable than having a beloved fried officiate your wedding? Their words will ring so much more true than someone’s you hardly know. And more importantly, they can offer more than stock advice because they’re more familiar with your story and their words can paint a more accurate picture of you to your guests. Just have them hop online and get ordained! This was one of my favorite parts of wedding planning but I’ve had friends tell me it was their LEAST! It can be a bit daunting to find the right words…especially written by someone else. Consider a broad scope of favorites (poetry, essays, excerpts from novels, etc.) and then read new material specifically for the occasion. You might find one perfect reading that does the job or you might want to include a bevvy! Then enlist some of those favorite folk to perform with gusto! 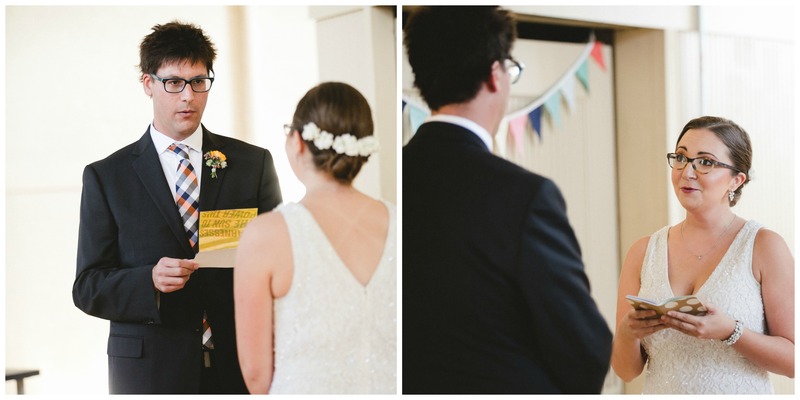 The easiest way to really put your own stamp on your wedding is to write your vows…or even your whole ceremony! Create the structure you want and write it in your own words. If it feels daunting, remember formality doesn’t have to be the name of the game. Your vows can be written in the form of a letter or a simple conversation. If you’re known for loving a certain kind of food or your partner is famous for always baking certain type of treat, why not include it? I’m a firm believer that food can be an important part of one’s story. And often times the food we actually like is far cheaper than what’s offered on a catering menu. 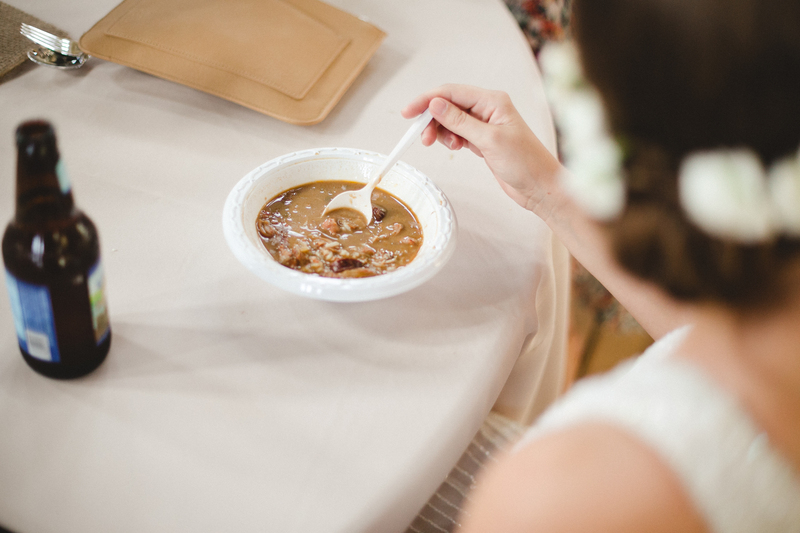 (Says the girl whose husband lovingly made 2 giant pots of gumbo the morning of their wedding while she just worked on getting pretty, haha!) Have a cookout style feast with burgers and hot dogs if that’s your jam. Serve slices of pie instead of cake. Mix up your signature cocktails. You followed your heart, now reward your belly. 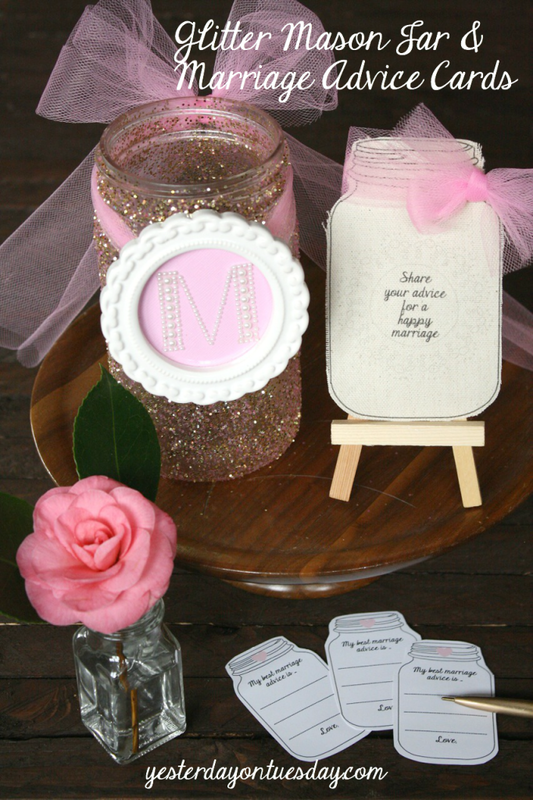 Finally, a super cute idea if you’re stumped for favors is to find a way to show off your new, married last name. We gave out Chet’s family’s signature seasoning – Breaux’s Bayou Shakedown. Google to see if you can find any products that share your last name or get crafty with a DIY or customize some meaningful trinket. 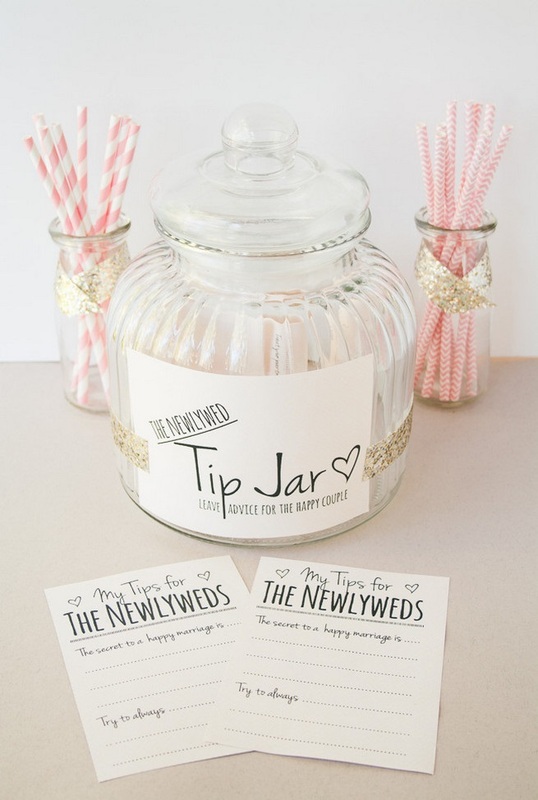 Your guests will hold your new name in their heart when they look back at the item (or use it!). Are you planning a wedding? (Congratulations!) 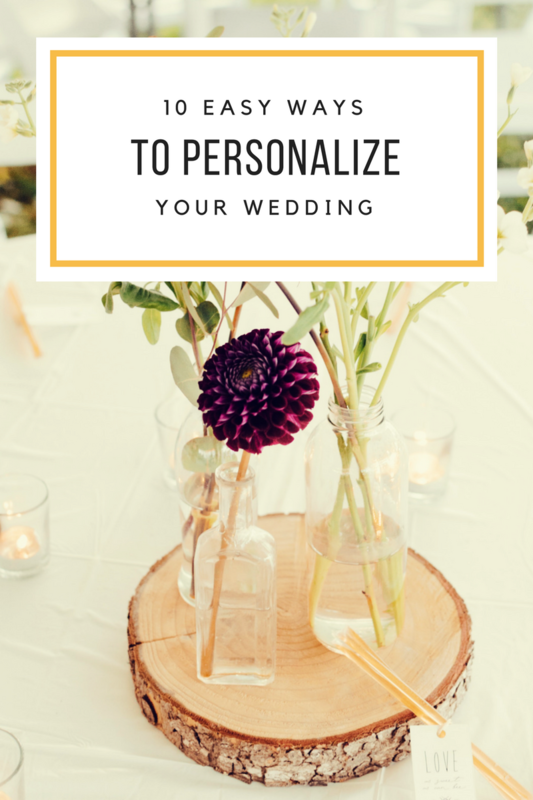 What ways are you planning to personalize the experience? Already married folk – What advice would you give someone just setting off on their wedding planning journey? P.S. 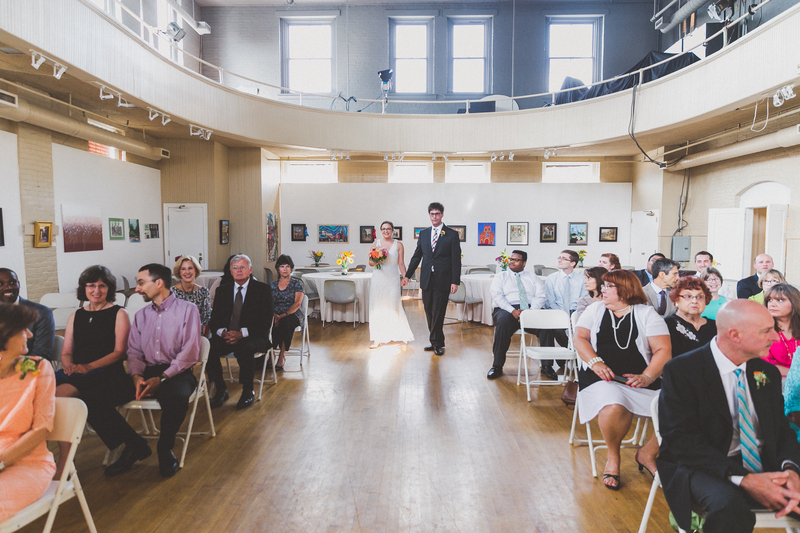 All photos above were lovingly captured by my wonderful friend and wedding photographer – Carrie Guggenmos of Sur La Lune Photography. She’s the best in the biz! 16 weird forgotten English words we should bring back. Related: Are you a word nerd? 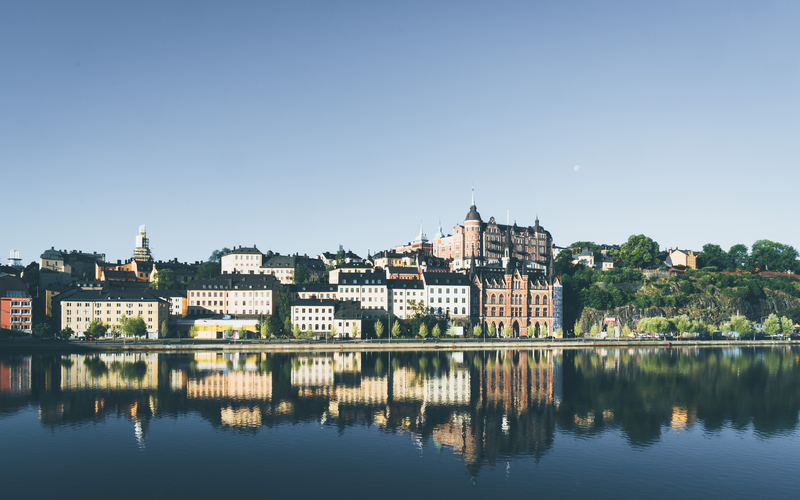 Amanda Knox shares what romance in prison actually looks like. 5 tips for capturing magical everyday moments. 50 everyday acts of rebellion. A book to help you kick the plastic habit. Photographer Claude Cahun resisted the Nazis, escaped death, and created great art. To listen to NPR today — and really for most of its 47 years — is to listen to the voices of women. How to bathe like an 18th-century queen. Related: The 5 things that turned me into a shower lover. Thank you (Yes you!) cards. A brief history of men getting credit for women’s accomplishments. P.S. I’d like to start sharing a few links throughout the week, too. 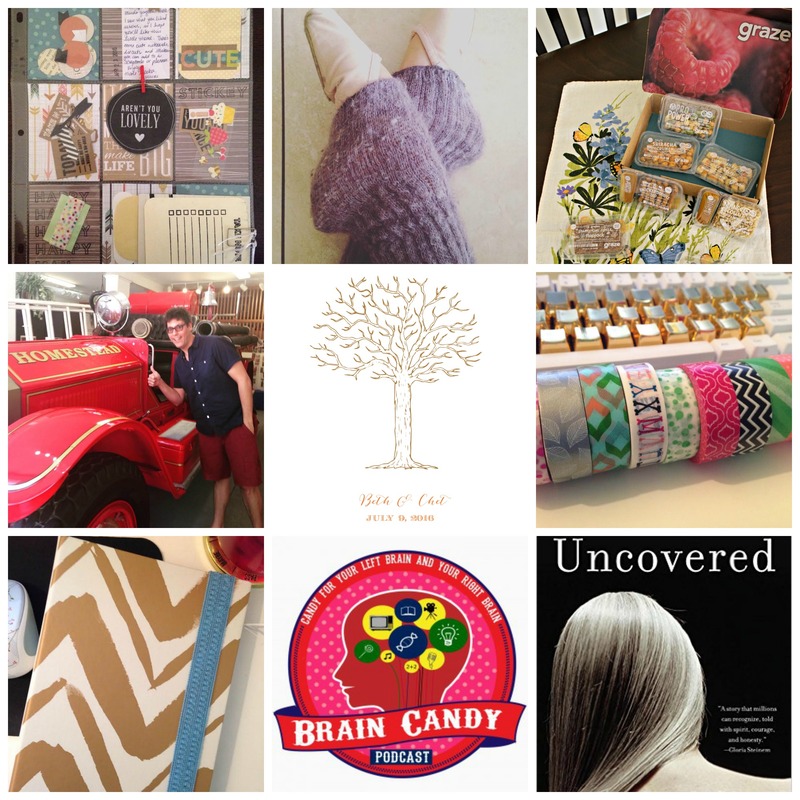 Follow Finding Delight on Facebook so you won’t miss out! The tech inside this 19th century conveyance isn’t stuck in the 19th century. This and a set of stencils seems like a fun recipe for a whole host of DIYs. Making Oprah: The inside story of a TV revolution. 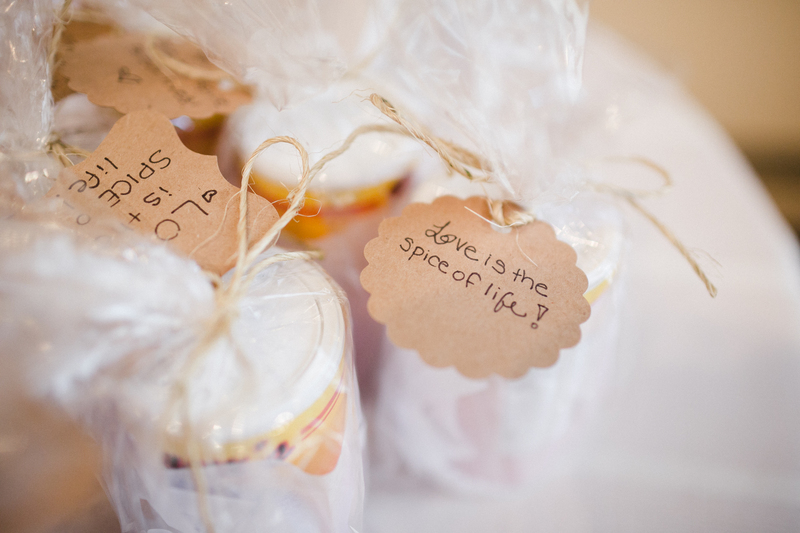 How adorable would it be to scatter these around a wedding reception venue? Why is this painting so captivating? I’m obsessed with Alessandra Olanow’s illustrations. Meryl Streep’s Golden Globes speech. How we found (and lost) the dream of Personal Rapid Transit. A genius way to give back. A Harvard linguist reveals the most misused words in English. Make college football great again by making it more like high-school debate. There are as many names for french toast as ways to cook it. P.S. A few Finding Delight posts you might enjoy — My Three Favorite Make-Ahead Breakfast Recipes and The Big Business of College Sports. If you wanna up your snacking game, you GOTTA check out Graze. Graze is a snack subscription service that sends you 4 or 8 individually packaged snacks weekly, bi-weekly, or monthly. I’ve gotten two boxes so far and I gotta tell ya…I am HOOKED. Each snack I’ve tried has been delicious and perfectly portioned. And you can’t beat the convenience! My favorite snack so far has gotta go to the Honeycomb Flapjack which Graze describes as a “rustic rolled oat flapjack with honeycomb and chocolate drizzle.” It’s legit better than a candy bar. YUM! One of the joys of wedding planning on a budget has been scouring the internet for ways to cut corners. My favorite way so far? Free printables. They are so fun to tinker around with. Pictured above is one I found for a Thumbprint Guestbook. It is so simple and fun! I love the idea of having it out at our reception with some ink pads and asking guests to create the leaves. Wouldn’t it be lovely to frame that as a keepsake? What a beautiful reminder of all our “people” and the special family tree we’ve created for ourselves, both with our actual family and the folks who’ve become our family. I LOVE washi tape. This month I’ve been using it a ton to decorate pocket letters (see above) and my planner (see below). Last week we stumbled upon an office supply store that was going out of business and I stocked up. My other favorite places to find washi? Target, Dollar Tree, and Ikea. Ikea sells packs of four for FIFTY CENTS. Hello!?! Need I say more. I started using my Target Dollar Spot planner on April 1st and the obsession is still going strong. In case you’re wondering, I call it the Target Dollar Spot planner because it was created from 3 components purchased at Target in the $1-$3 section. A mini binder, dividers/weekly inserts, and folders/monthly inserts. Each of these “kits” was $3. While I utilize this planner for weekly and monthly planning, I’ve also been trying my hand at planner decorating. (Inspired by CheapCraftyGirl on YouTube.) It’s a fun activity to sit down on a Sunday night and decorate the next week’s spread! And it’s also a cool way to use some of the stationery goodies I receive in my pocket letters. Paper crafting for the win! Confession: I’m a LONG time viewer of The Real World, Road Rules, and The Challenge. I have never “out grown” these shows and continue to enjoy, especially The Challenge, to this day. The advent of social media has taken my interest in reality TV in a different direction. I love keeping up with cast members on Twitter and Instagram because seeing what D-List celebs do in their day to day is just as interesting (if not more) to me than watching them on a show. Anyways, that’s all to say, I follow the two ladies responsible for this podcast on social media. So when they started promoting this endeavor I was totally into it. It’s hosted by Susie Meister (RR: Down Under) and Sarah Rice (RW: Brooklyn) and is billed as “candy for your left brain and your right brain.” While some episodes are about The Challenge (both Susie and Sarah have competed multiple times on the show), many are not. They cover everything from cults to travel to DIY. It is super easy listening…kind of like you’re eavesdropping on two intelligent girlfriends having a chat. Oh, and usually wine is involved! If women and religion, and how the two intersect, is of interest to you, then this memoir is a must-read. I love learning about different religions and recently realized I didn’t know too much about the lives of Hasidic Jews. I picked up this memoir at my local library and couldn’t put it down. It tells the story of Leah Lax who left her liberal, secular home as a teenager for a life as a Hasidic Jew. 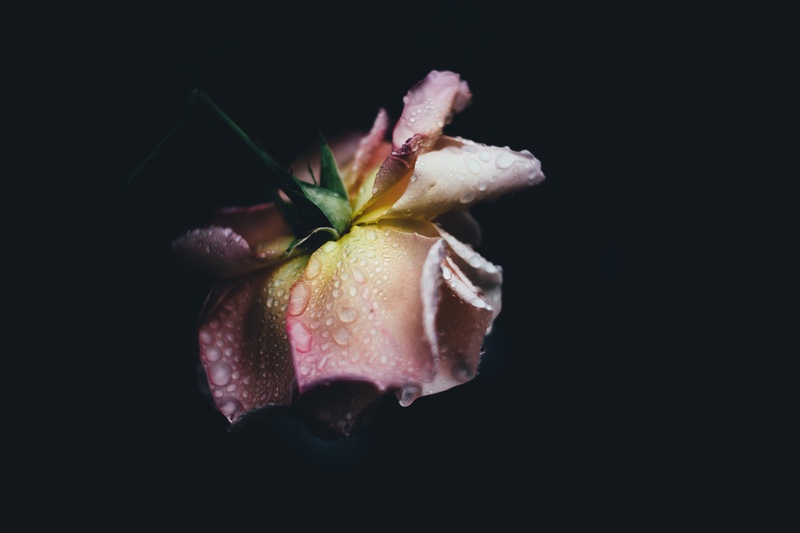 Lax recounts her experiences with arranged marriage, fundamentalist faith, and motherhood during her time with the Hasidim, and exposes how her creative, sexual, and spiritual longings existed beneath the surface throughout her time there. This book taught me a lot about this particular faith through the eyes of a woman who lived it and then left it. I was floored when I opened this early Valentine’s Day present from Chet. I just couldn’t get over the adorable pattern and perfect pocket placement. I’ve been wearing it around the whole month and it does NOT disappoint. You can read my full review of the bag and see some pictures of me sporting it in the wild HERE. I can not thank my thoughtful dude enough for this spectacular present. We have many day-trips and ultra-light adventures ahead of us. And we shall be so wonderfully well-equipped! While I had previously seen most of the first three seasons of this show, I convinced Chet to watch it from the beginning with me. We just started the 5th season and I never want it to end! In case you’ve been living under a rock, the British drama follows the lives of the Crawley family and all its servants as they go about their business, upstairs and down, in the large country manor estate known as Downton Abbey. The show begins with the 1912 sinking of the Titanic but now in season 5 we’re all the way up to 1923. It’s quite fun to track the actual historic events that play out alongside the fictional lives of the Crawleys. Bonus to our nightly viewing? Chet does a bang-up impersonation of Mr. Carson, the Crawleys’ beloved butler, and will often chime in with his own commentary. I was selected this month by 21st Century Fox to receive an advanced screening copy of the documentary, He Named Me Malala. I pretty much cried through the whole film and really hope lots of people tuned in to watch the TV premiere. It was a profoundly impactful film made by filmmaker Davis Guggenheim exploring the life of Malala Yousafzai before and after her attack at the hands of Taliban. You can read more about the film HERE. Initially, I wasn’t too on board with the whole idea of sending Save-the-Date cards. Wouldn’t it just be easier to hop on the internet to spread the word about our selected date and send out invitations later? But then again…I LOVE sending and receiving mail and I just couldn’t let the opportunity to send some mailbox cheer pass me by. I ended up designing them myself with the free photo editing site PicMonkey. I’m REALLY happy with how they turned out and think using PicMonkey and printing them on cardstock was a wonderful budget-friendly option. I’d be happy to post a tutorial about how I whipped them up if you’re interested! I snagged this notebook from Target when Chet and I were in Lafayette for Christmas. While I’m a huge fan of Moleskines and the Baron Fig Confidante, I’d sort of come to the conclusion that I wanted a hard-back spiral-bound for my day-to-day, planner-ish notebook. I like to have my To-Do list out all day and while other notebooks claim to “lay flat” they don’t always do so, or they do but they take up too much desk space. I also like to dedicate a whole page per day which can seem a bit wasteful when using a higher end notebook. I started this notebook, along with a new notebook system, on January 1st and it’s been really helpful and easy to stick to. I use a modified version of the Bullet Journal system. I prioritize daily spreads over anything else and I don’t index but I implement a lot of the other strategies. When this one is all used up I think I’ll continue to stick to this type of notebook! 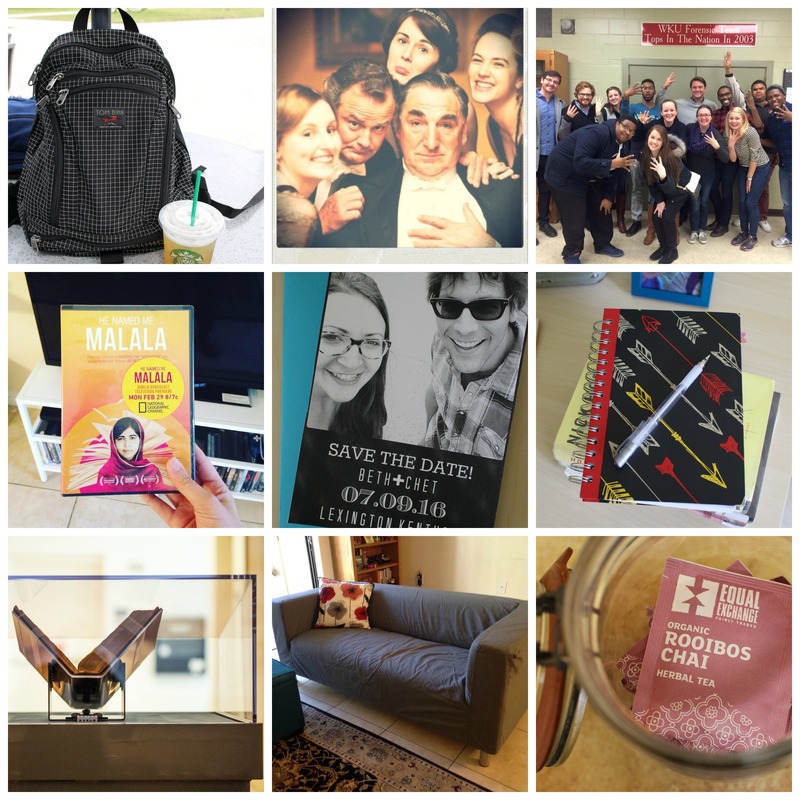 The book that made the bard made it’s way to Florida International University this month! Chet and I got dressed up and attended the opening of the first folio exhibit at The Frost Art Museum. It was amazing to see so much Shakespeare programming and hype occur at the university and in Miami while the book was on display. We loved taking a peek inside but only wished we could hold it in our hands and flip through the pages. Think of all that history! My mom is always hooking me up with fair trade goodies and in February I was loving this chai tea she sent. I love brewing up a mug when the weather is a bit dreary or for an evening treat when there’s no dessert in the house. It’s just the right level of spicy and sweet with delicious notes of vanilla. YUM! Hey friends! So with my wedding just a little over four months away I figure it is probably time to buckle down and find my wedding dress. The only problem? I’m literally the most indecisive person on planet Earth. Especially when it comes to buying clothes. And EVEN MORE especially when it comes to buying clothes that are more than 20 bucks. Since getting engaged, I’ve kept an eye on a few of my favorite websites and took note of the recurring elements that sent my mouse darting for the bookmark button. 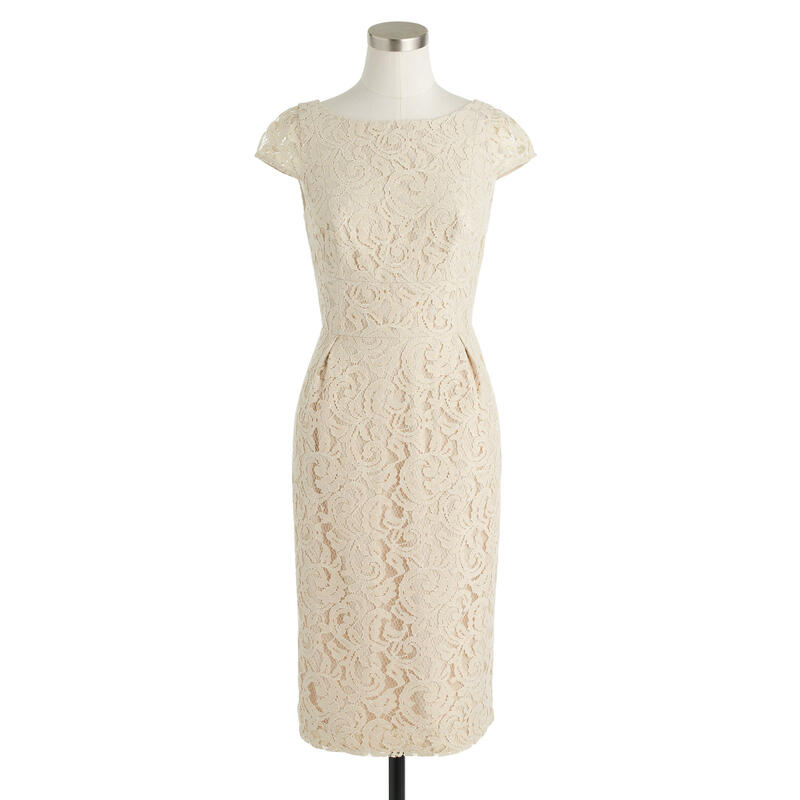 I know I want a short, vintage-inspired dress with some lace elements. I’m not too picky about the shade of white. 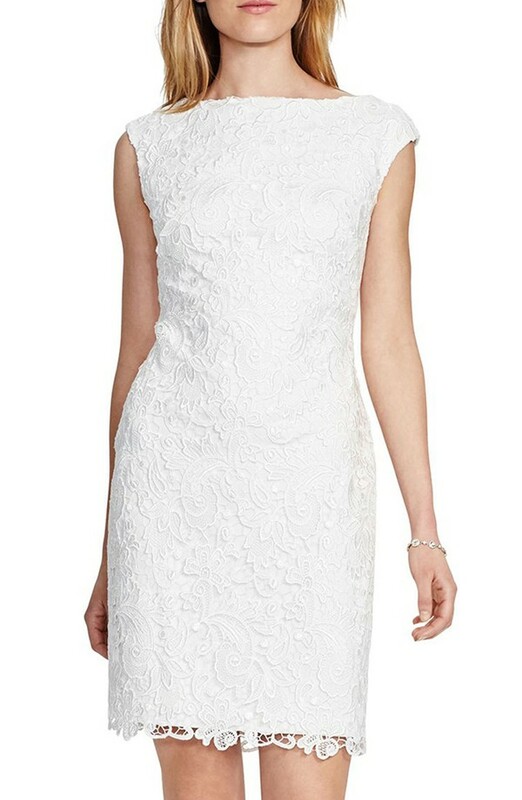 I like a more structured silhouette with classic, flattering lines. And I don’t want anything strapless because I know my life and I would just spend the whole time hoisting it up. And faffing with your clothes is just never a good look. Based on those specifications, I patrolled the interwebs, and have settled on my EIGHT FAVORITES. (I know, I know. 8 is still a lot but I TOLD you I was indecisive!) 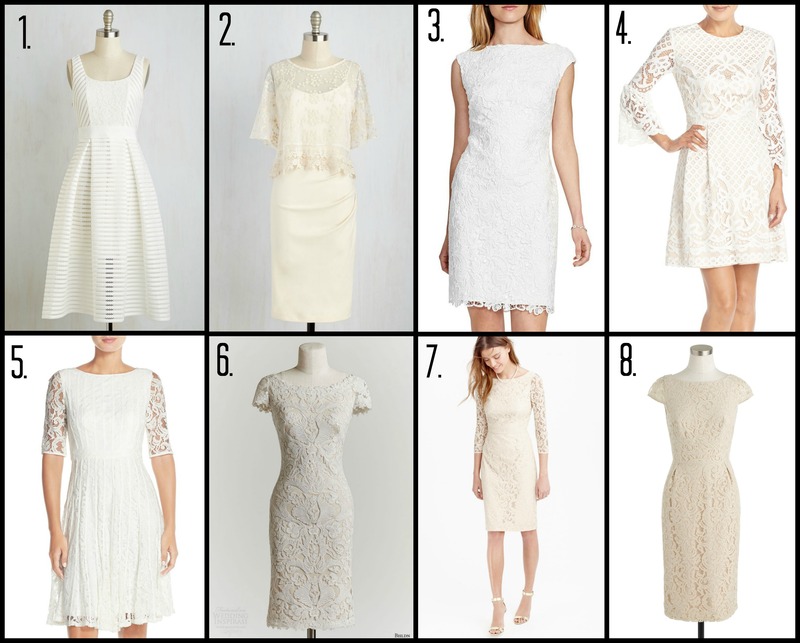 While each of these dresses tick all my boxes, they’re all still quite different. And I like them for completely different reasons! So, I’d LOVE your opinion. Want a closer look? The overlay on this one is very unique. 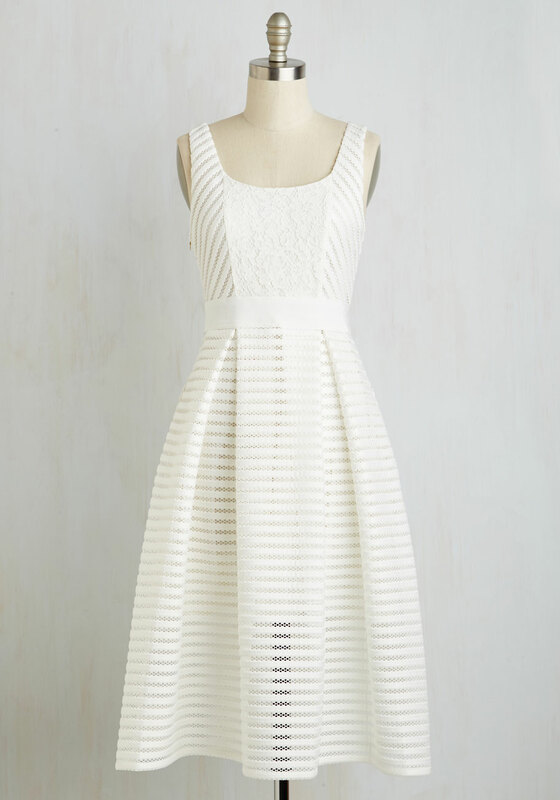 I like the shape of the dress and think it would be quite comfortable in the Kentucky July heat. I love the detailing in this one! The skirt maintains a structured shape with that subtle side gathering while the top is lovely left loose and boho-inspired. This one is definitely the most simple of the 8 but there’s something really elegant about it. 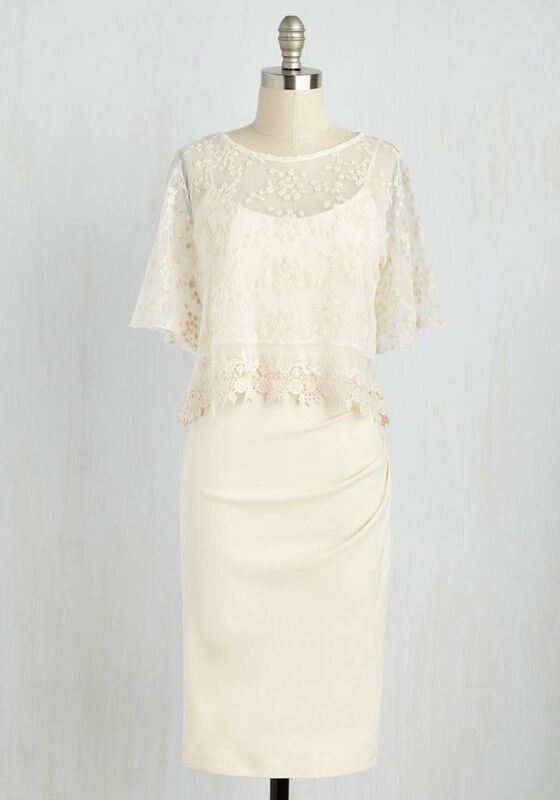 I love the straight across neckline and the dainty, barely-capped sleeves. Hello 70’s vibes! This one may be a tad wild but the white makes the lace pattern appear more playful than bold and who doesn’t love an excuse for a bell sleeve? How beautiful would this be paired with some simple ballet flats and a huge bunch of colorful wildflowers? I’ve always had a thing for all things prairie-inspired and I think this dress fits that bill quite nicely. 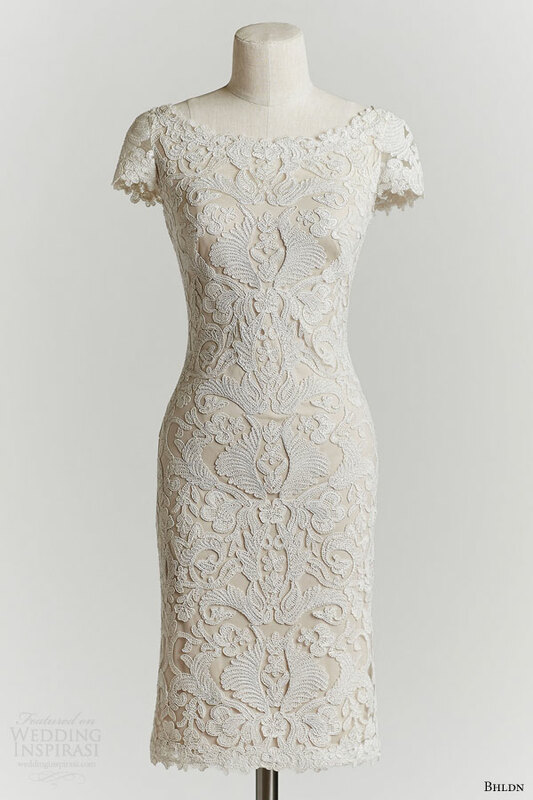 The intricate lace pattern makes this one look just a smidge more sophisticated than the rest. I would wear classic and simple accessories and let the dress itself do all the outfit talking. 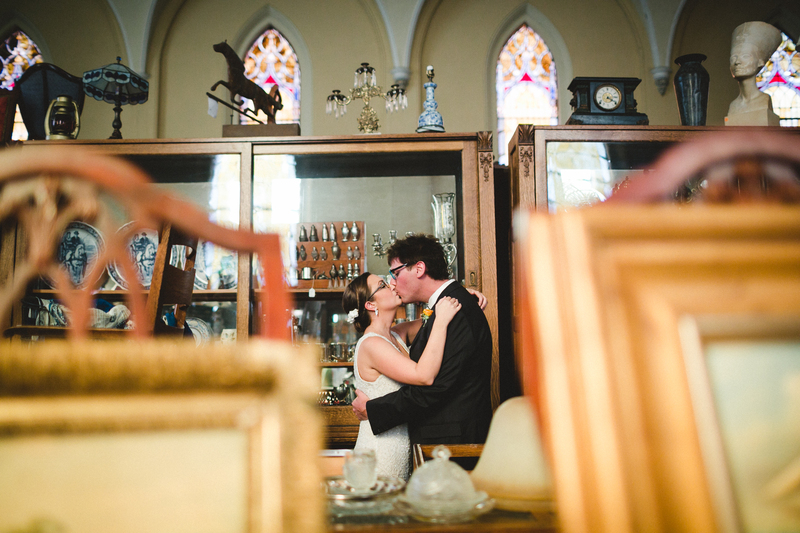 This one would fit in splendidly amongst the art and giant windows at our gallery wedding venue. I love that the dress is short in length while the shape and sleeves play little eye-tricks to elongate. The shape of this dress may well be my favorite. The structure would help me rock the look with confidence while the look of the lace and the sweet sleeves would add softness and romance. So, now that you’ve seen my favorites, would you pretty please weigh in with your opinions??? You can cast a vote using the poll below and leave any further thoughts in the comment section. Thank you so much for your help!!!! 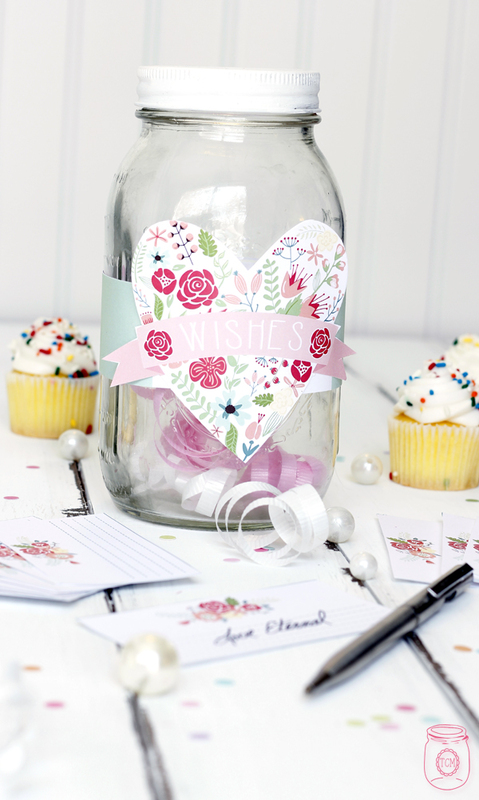 This tutorial from Yesterday on a Tuesday includes free mason jar printables! I probably wouldn’t go for the glitter though. 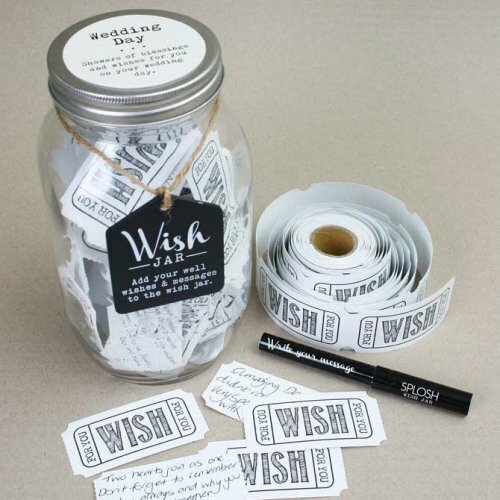 This Wedding Wish Jar DIY from The Cottage Market is sweet, simple, and freakin’ adorable. Guest Book alternative from Confetti Daydreams. Not a mason jar but I love the gold and the hand-lettering inspiration. Or for less than 30 bucks, I can just buy one already made. Because if there’s one thing you can count on — if there’s a way to capitalize on Pinterest, Mason Jar, Wedding Planning mania — someone is out there doing it. Alternatively, I can skip the mason’s all together and go for JENGA! Damnit Pinterest! You’re killin’ me. 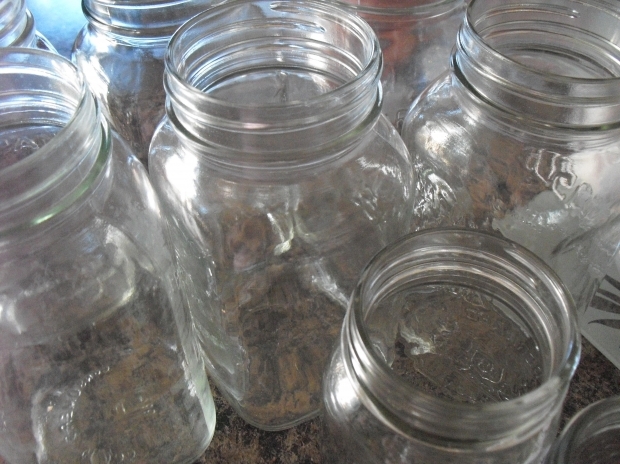 Wanna find out how many mason jars I can pin between now and July? Follow me on Pinterest here.